What Is It? 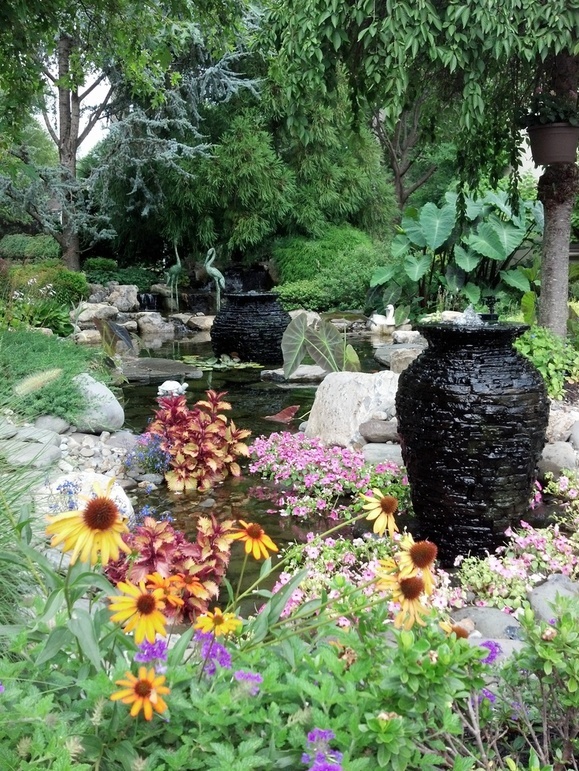 Our stacked slate urns are decorative fountains made with a natural rock veneer. Which means they won't chip or fade over time, unlike natural stone. How Big Are They? Stacked slate urns come in 3 sizes; small, medium, and large. The small urn is 20" in diameter and 32" tall, the medium urn is 27" in diameter and 45" tall, and the large urn measures 35" in diameter and 56.5" tall. Who Would Love It? 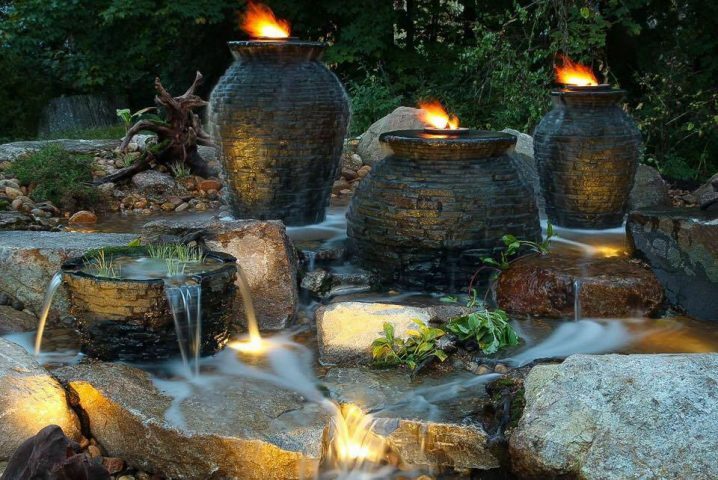 Like our other decorative water fountains...anyone would love this feature! 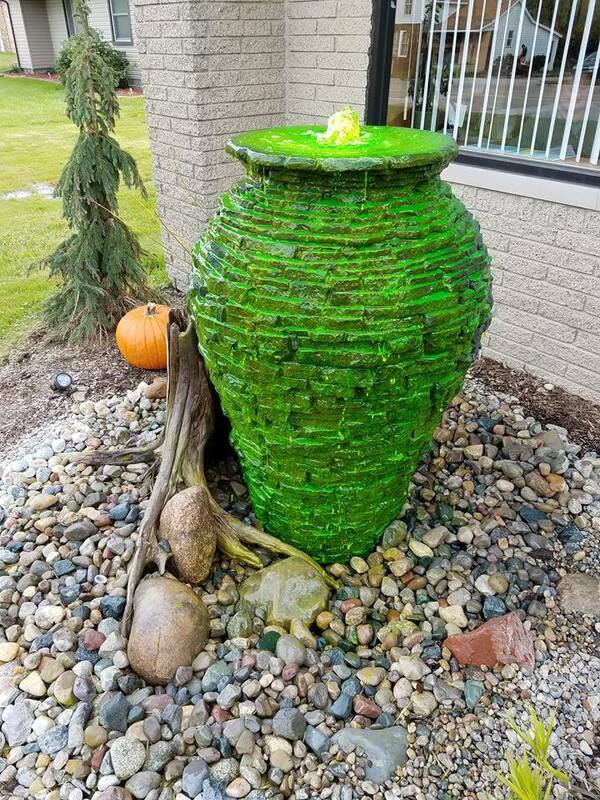 We've installed our stacked slate urns at local business, large and small residences, added them to existing ponds, used them as stand alone features....there'r really no limit with our stacked slate urns! 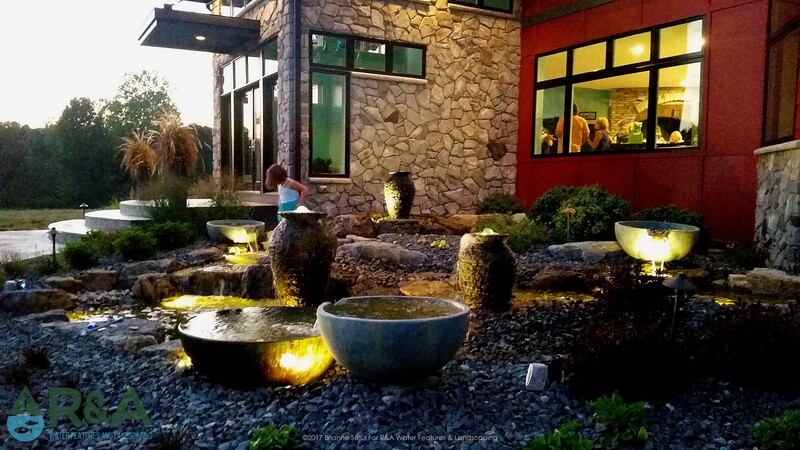 The local wildlife, like birds, deer, and your pets, love these decorative water fountains too! What's The Maintenance? The maintenance is pretty darn low. 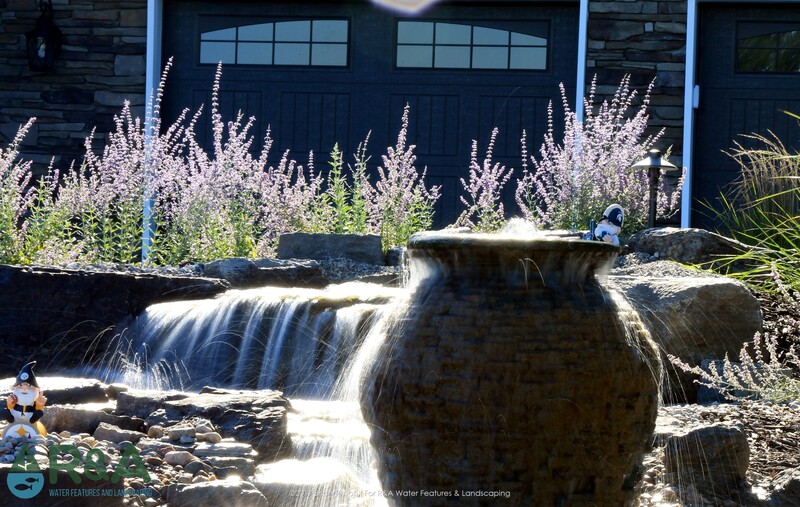 We typically recommend a spring cleaning and fall shut down, to make sure everything is in proper working condition...but other than that you can just sit back, relax, and enjoy the sight and sound of your fountain. Where Could I Put One In My Yard? You'll want to put a stacked slate urn somewhere where you'll be able to enjoy it. 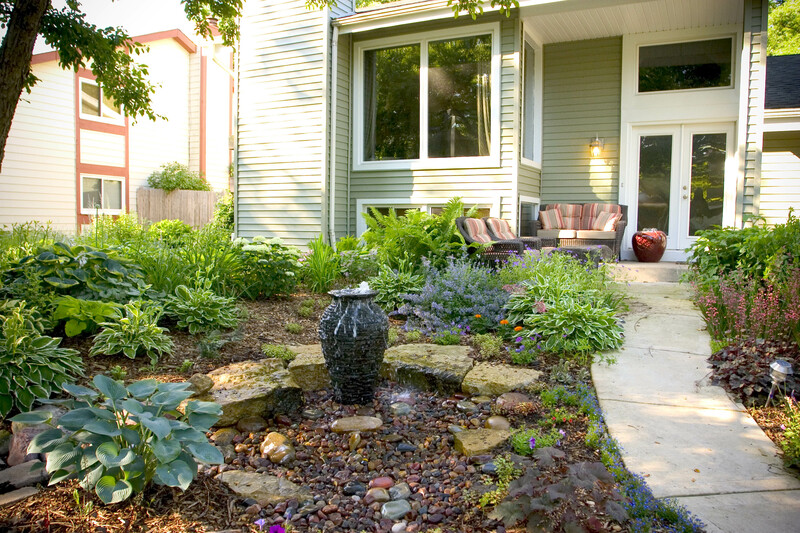 We recommend installing this water fountain near a patio, entryway, or walkway, though anywhere you'll be able to see it and enjoy it will be a good place. 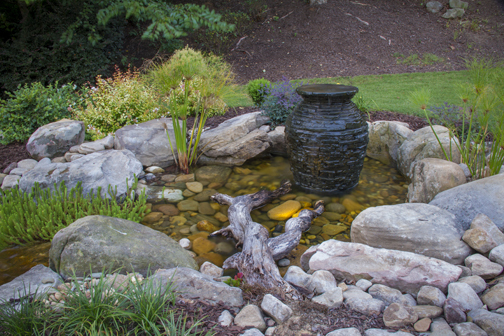 Stacked slate urns can also be added to an existing pond for added circulation and excitement! How Can I Get One? Simple...call us to get started on your personal oasis with a stacked slate urn!